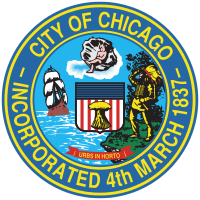 Taxi trips reported to the City of Chicago in its role as a regulatory agency. To protect privacy but allow for aggregate analyses, the Taxi ID is consistent for any given taxi medallion number but does not show the number, Census Tracts are suppressed in some cases, and times are rounded to the nearest 15 minutes. See http://dev.cityofchicago.org/open%20data/data%20portal/2019/04/12/tnp-taxi-privacy.html for further discussion of the approach to privacy in this dataset. See http://dev.cityofchicago.org/open%20data/data%20portal/2017/10/24/taxi-data-behind.html for a note on data freshness.